We are the ideal choice for professional marketers who require custom email services. Email Transmit offers the services and technology your business needs to achieve email marketing success. Email Transmit is easy to use entirely on your own, but if you need any additional services, we’re here to help. Email Transmit was created by Mass Transmit, a successful Internet marketing agency. You can rely on our knowledge and expertise as much as you need, often at no additional cost. We’re experienced at working with companies of all sizes on their email marketing, as well as skilled marketers switching to a more advanced, reliable solution. The Email Transmit interface is among the best in the industry for ease-of-use. Our technology offers straightforward, step-by-step processes that guide marketers of all skill levels though every component of email marketing. 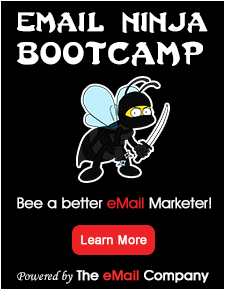 Email Transmit works only with legitimate, permission-based marketers. We adhere strictly to all legal requirements, including CAN-SPAM, and encourage all Email Transmit users to follow marketing best practices. Email Transmit has strong relationships with major ISPs, making our deliverability among the highest in the industry. If you want the best in email marketing technology and expertise for your business, then Email Transmit is the right choice.